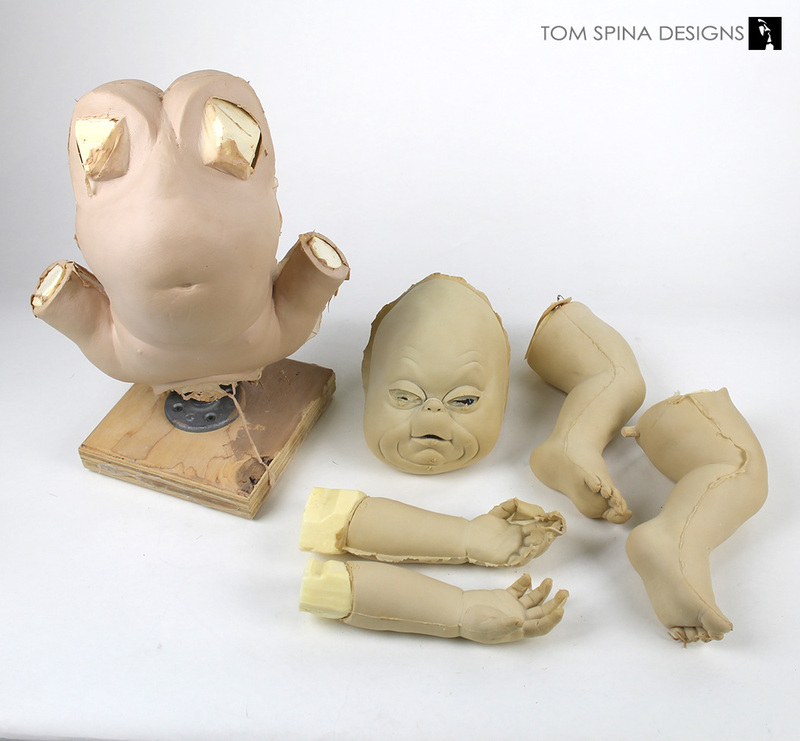 Completing baby Grinches using original foam latex parts from How the Grinch Stole Christmas. 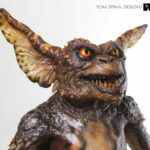 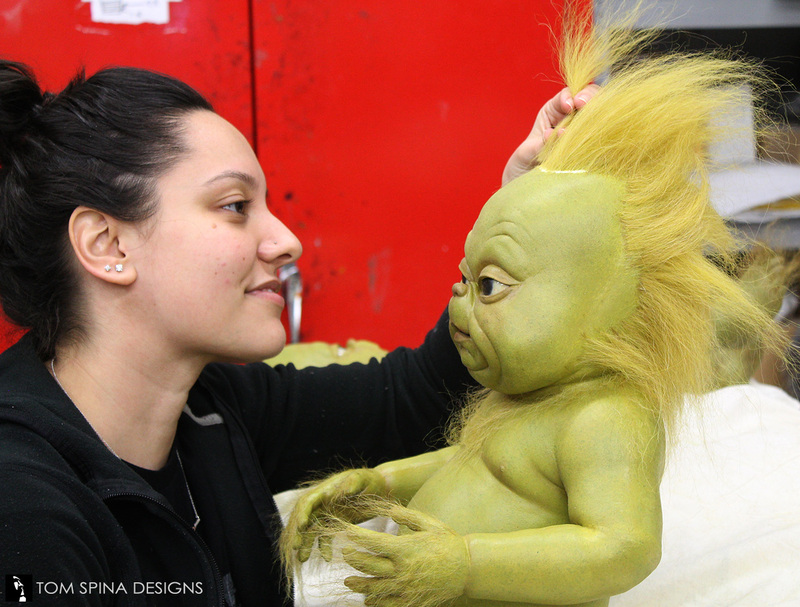 We always love getting the chance to help restore and display pieces created by Rick Baker’s Cinovation studios and props and costumes from the Grinch movie are definitely some of our favorites! 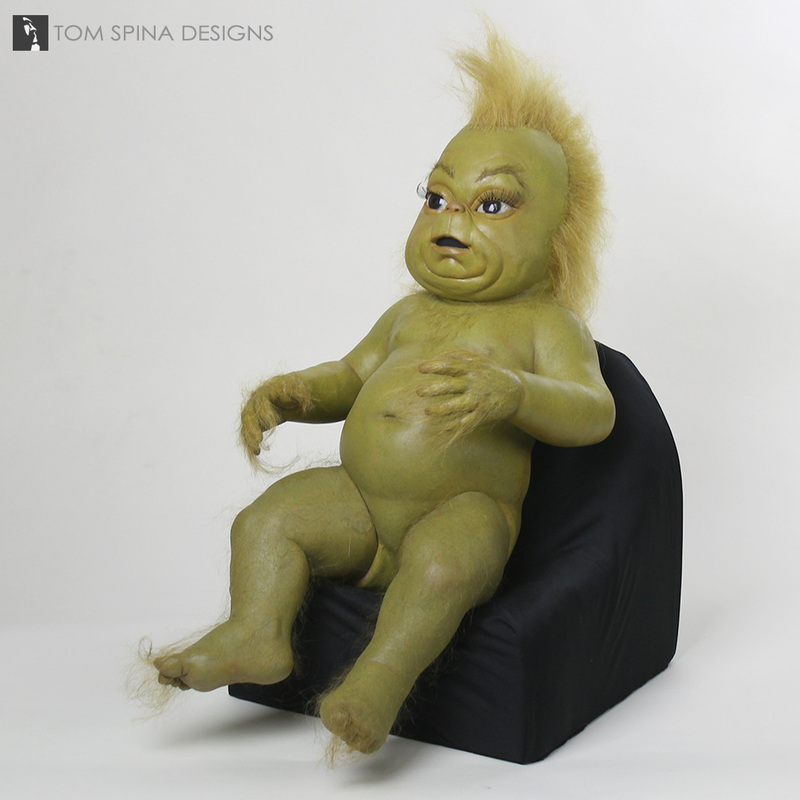 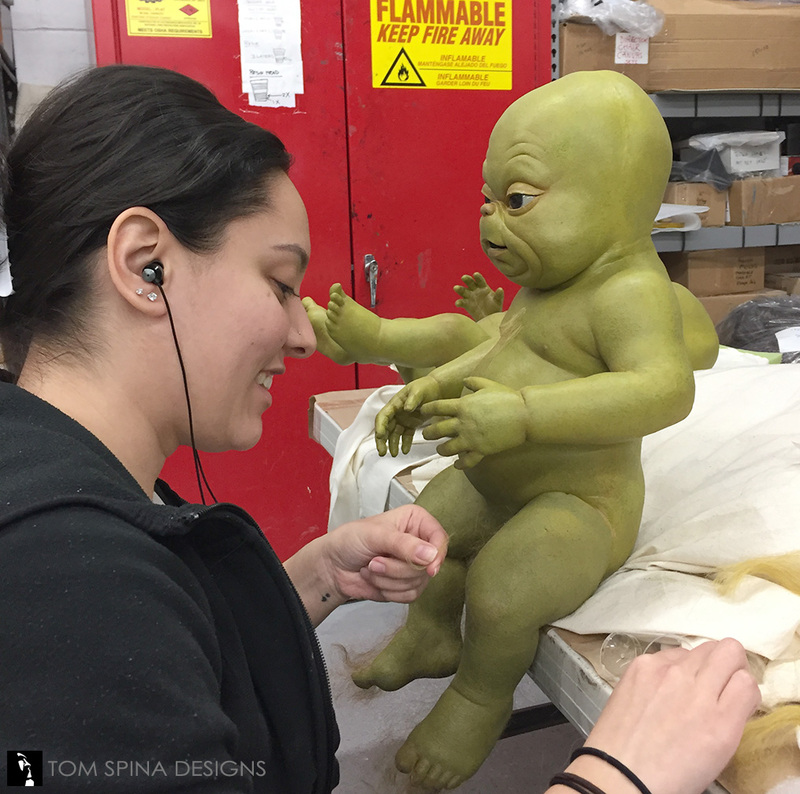 One of our clients had gathered two full sets of production created baby Grinch puppet pieces and was looking to have them assembled into full display characters. 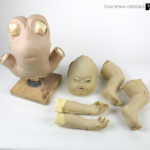 These parts were all made during production but ultimately, not used on film. 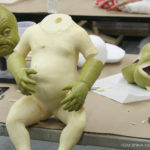 This meant we had to clean up all of the edges and flashing from the molds. 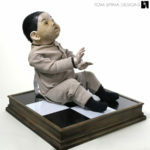 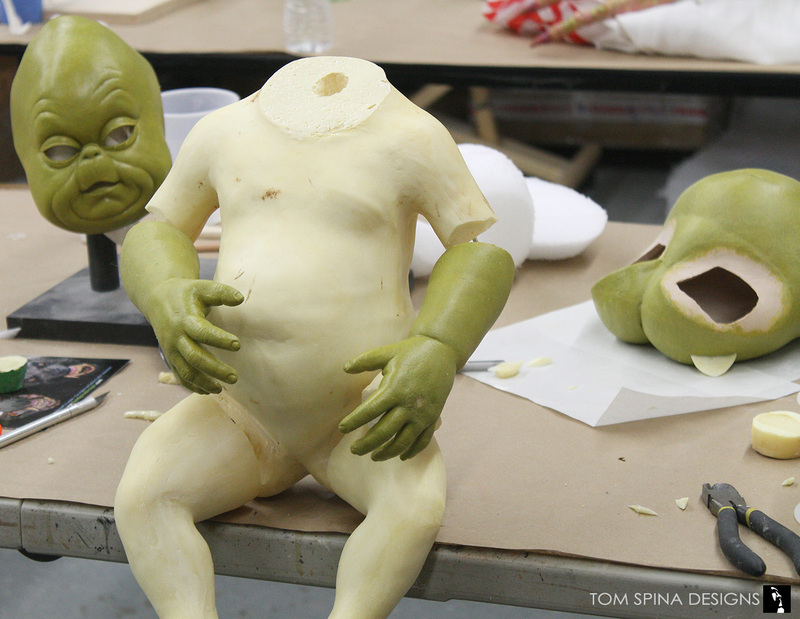 Artists Maria Teran and Patrick Louie did the bulk of the clean up and assembly work on the puppets. Each body had a rigid foam insert from production, which would help support the delicate foam latex over time, and our team carefully blended off the seams between the multiple parts for an invisible transition. 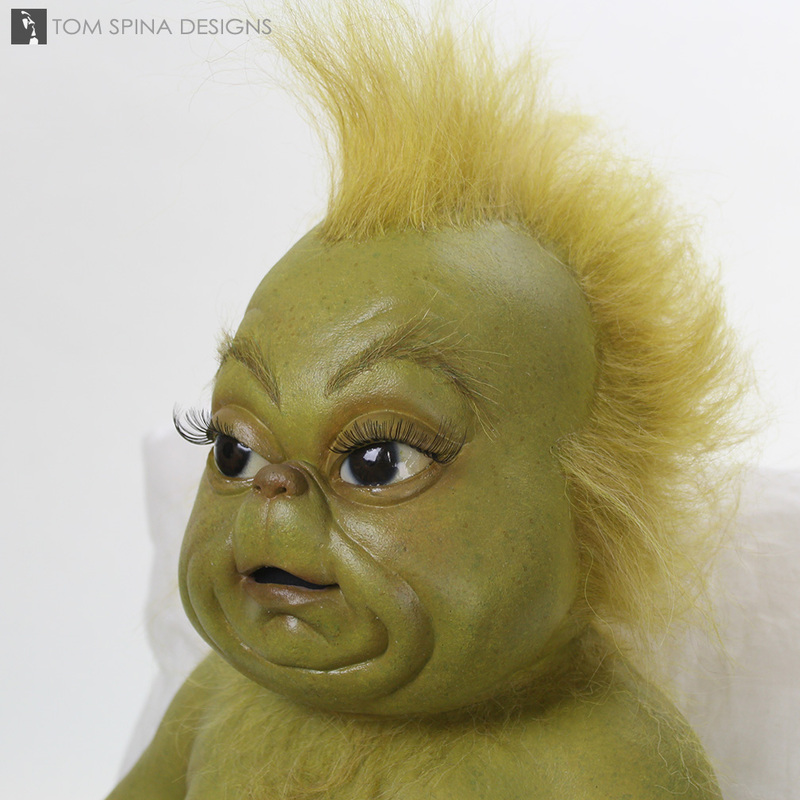 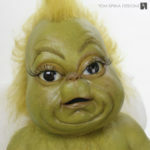 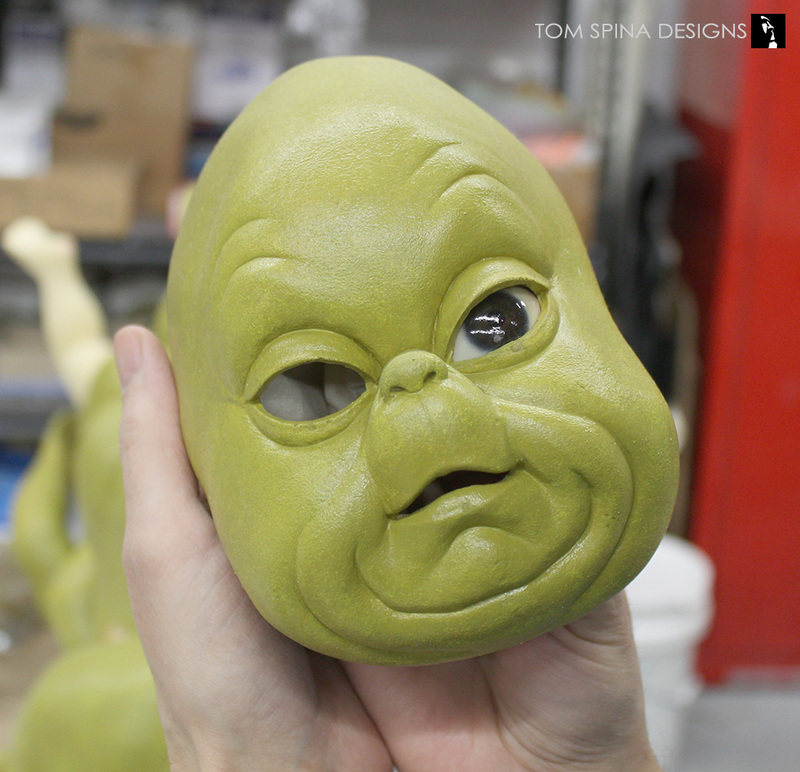 Due to the large size of the baby Grinch’s eyes we created a custom pair to match the innocent look from the film and they were inserted before the head was mounted. 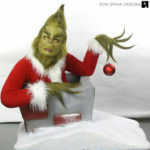 With all of the pieces assembled we moved on to adding all of the paint layers to capture the Grinch’s look in the film. 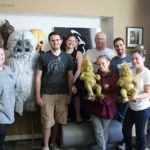 Maria, along with Melissa Ocampo and Tom, painted the pieces using the same techniques as the film crew to stay true to the original props from the movie. 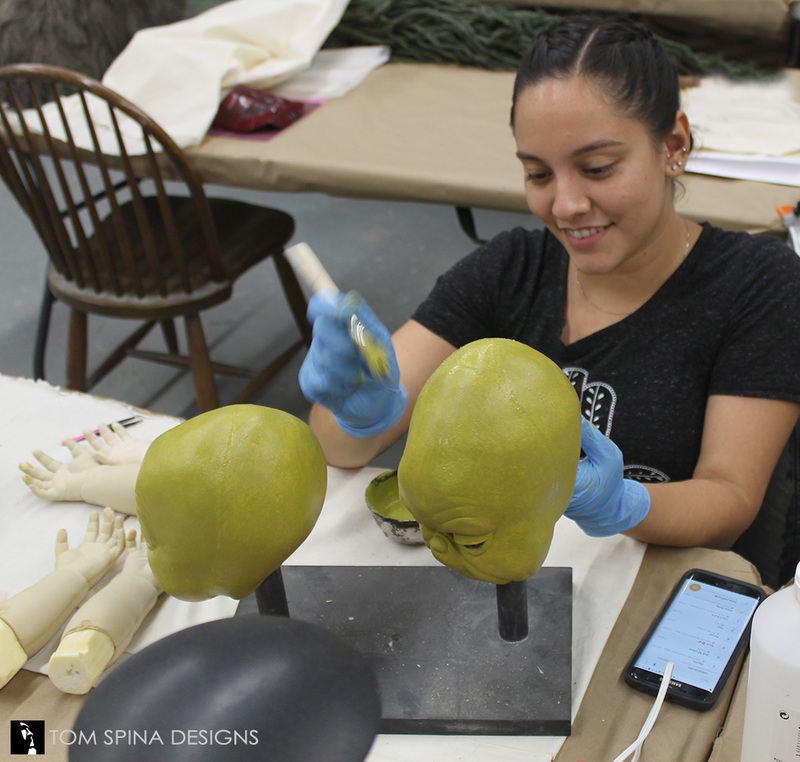 We were lucky that one of the sets of legs had been painted and haired by Rick Baker’s team and that gave our restoration artists a great point of reference in our work. 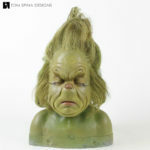 The Grinch’s unusual hair color is not something that you can just purchase so all of the hair on this project had to be blended by hand. 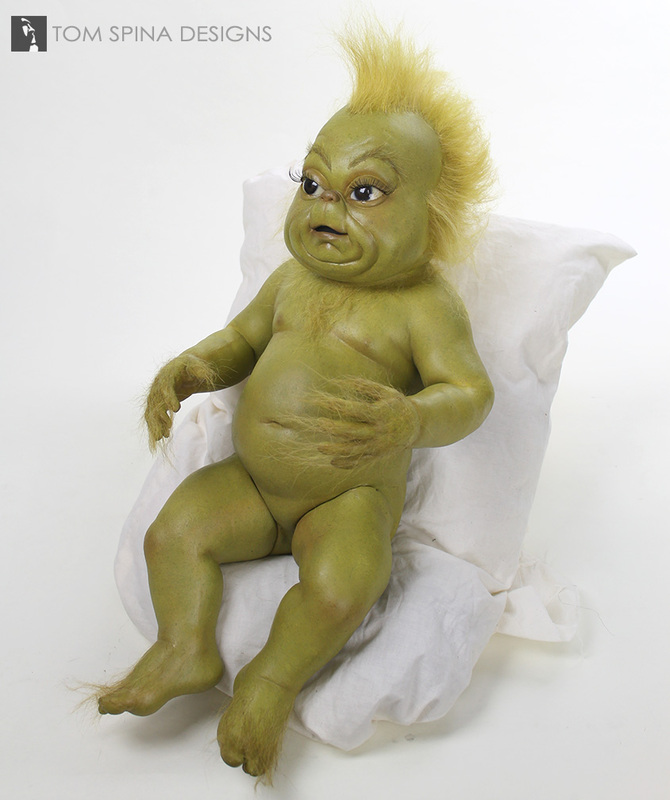 Maria custom dyed a green tone that was mixed with blondes and browns to achieve a match for the original hair, and that “hand laid”, applying small amounts of glue and hair and moving section by section. 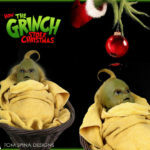 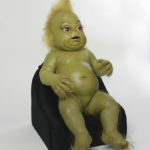 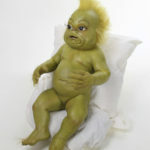 Each baby was then given the Grinch’s signature hair style! 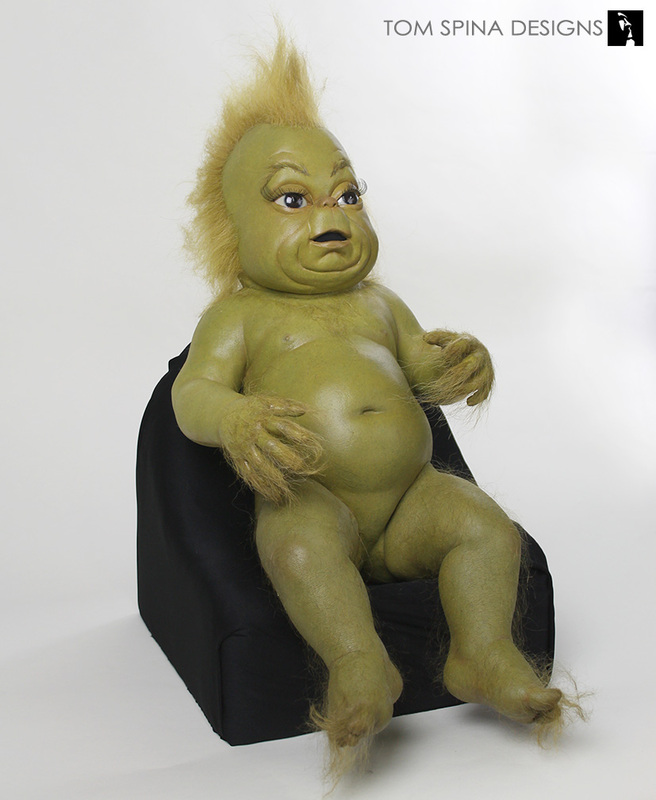 We also created custom “booster seat” style stands to help support the baby Grinches. 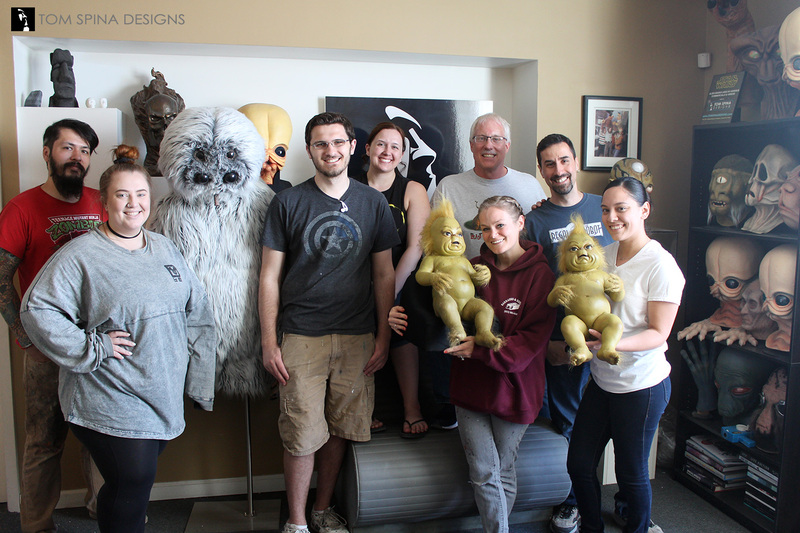 Our client came by to visit his new babies and was thrilled with his new Grinches!